I'm excited to have Jocelyn over at Ms. Jocelyn Speech do a guest post about Phono Learning Center! 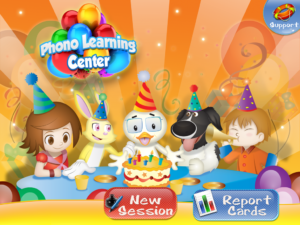 Phono Learning Center is an app developed by Smarty Ears. 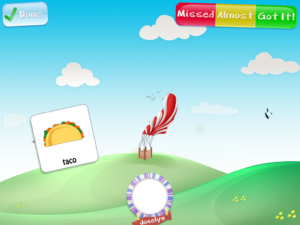 This app is designed to help children improve their speech production. I am always looking for new practice materials for articulation and phonological delays, so I was happy to receive the opportunity to try this app out. To start, click on new session. There you can pick one or more children to target during the session. You can specify each child's specific need. 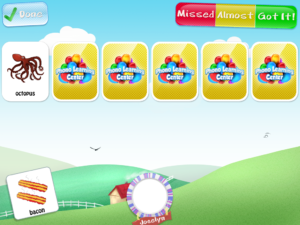 To adjust a child's target, double click on their plate symbol. 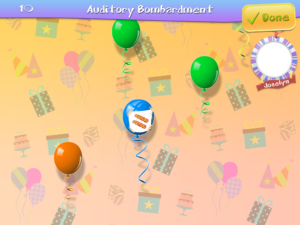 When you are ready to begin, the session begins with Auditory Bombardment, where balloons rise and students tap on them to identify target words for practice. 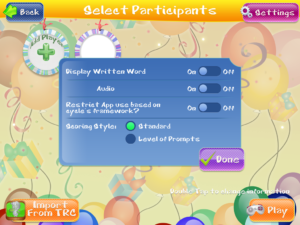 Then, there are four games that can be used for targeted practice; matching, hot air balloon, puzzle, and basket paper activity. 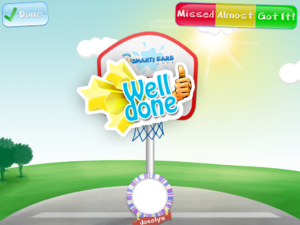 During each game, you can keep track of how the student is doing by tapping on "Got it!," "Almost," "Missed it." During the matching game, the child is presented with a target word and asked to find it's match. 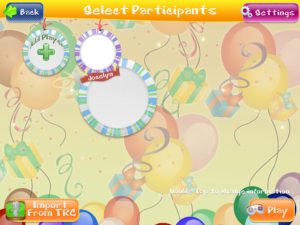 The hot air balloon game presents the child with a target card that they drag in to the hot air balloon basket. 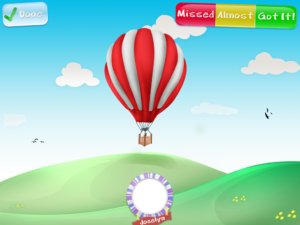 As you drag cards to the basket, the balloon inflates with air. Once the balloon is full, it takes off. 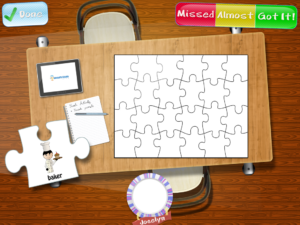 The puzzle game presents the child with a target word on a puzzle piece. As they say the word, they drag it on to the puzzle board. The goal is to complete the puzzle. The basket paper activity, my personal favorite, present the child with a target word on paper. After the child says the word they tap the paper so it rolls up in to a ball. Then, the child slides the ball toward the basket trying to get it to go in. A helpful feature is the results page. 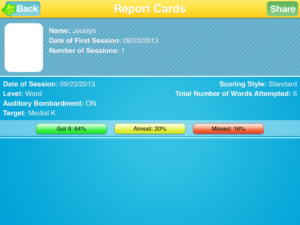 The app stores student information, but you are also able to email or print the results from each session for your records. 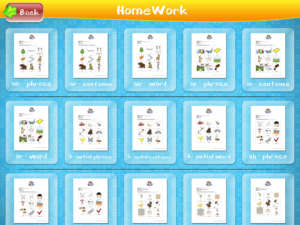 The most surprising feature to come across was Homework! Yes, this App provides you with printable practice sheets that align with the targets you set for your children in the game. Phono Learning Center from Smarty Ears is available for $14.99 on iTunes for the iPad. 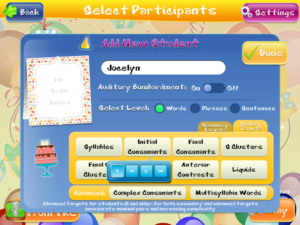 Disclaimer: A free copy of this app was provided to Ms. Jocelyn Speech for review. No other compensation was provided. The opinions expressed are solely the reviewers and were not influenced by the developer.